Dorin Frankfurt SS17 collection is inspired by her Middle Eastern feel. 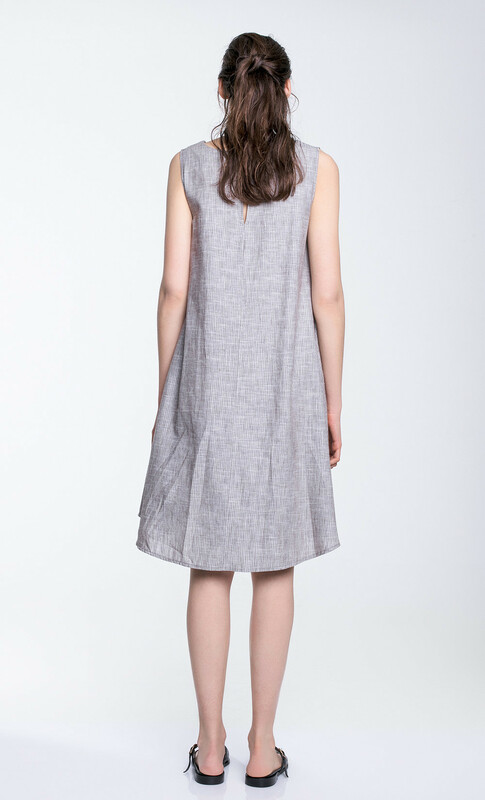 This loose A line shape cotton linen dress has deep front pockets and mother of pearl buttons. 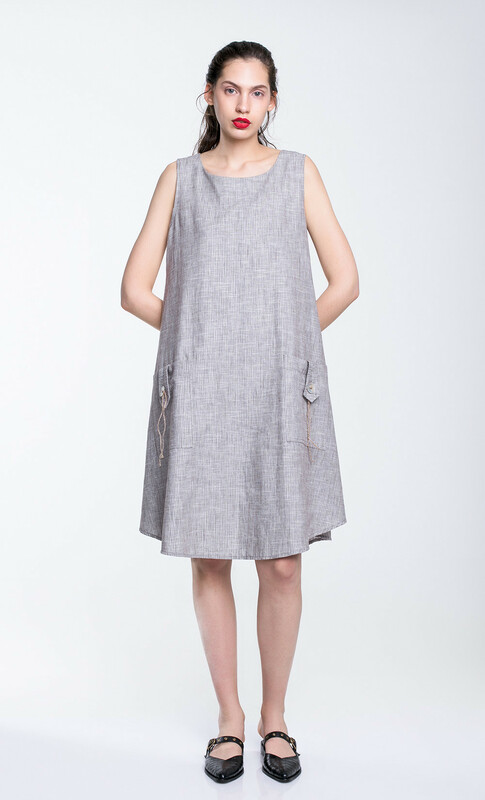 This dress can be worn over a little T shirt or as a tunic over trousers.